Telemedicine utilizes information and telecommunications technology to transfer medical information for diagnosis, therapy and education. The information may include medical images, live two-way audio and video, patient medical records, output data from medical devices and video and/or sound files. The interaction may involve real-time videoconferencing between patients and medical professionals (synchronous telemedicine), or sending patient data (eg. pictures, vital signs, etc.) from the home to a clinic or from a primary care provider to a specialist. With autism, we know that telemedicine has been already used sparingly in live video-conferences for: 1) diagnosis 2) follow-up to prescribing of medication and 3) family counseling. We also know that in a few instances, health professionals have used videotapes sent in from families of autistic patients to effectively counsel the family on treatment options. All participants responded favorably to the quality of healthcare provided, which coincides with research papers on telemedicine's 'patient satisfaction' for other medical applications. How Might Telemedicine Work for Autism? Phone calls and emails, or sending digital pictures and videos are a start. Paying health professionals for quick responses is another factor. Capturing, transmitting and then archiving autistic patients’ ‘episodes’ will help improve communication between health professional and family, while saving helpful information for future reference and / or research. 1) Caretakers video capture an episode of concern or interest (episode is time-stamped) family decides to send this for review. 2) The video capture could be mailed conventionally or electronically transferred to an involved health professional. 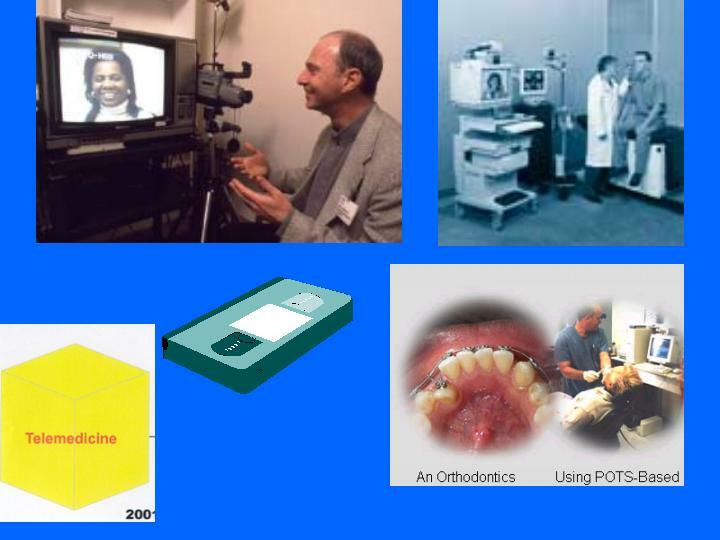 3) Health professional reviews either a. video on VCR or (preferably) b. electronic video file on computer. 5) (for electronic file) Episode is archived for professional future reference and research. *Technology makes this possible now. Other issues and factors will be discussed. Ron Oberleitner is President of e-Merge Medical LLC. e-Merge assists companies in introducing product and service technologies to the medical marketplace. Mr. Oberleitner has had experience developing and marketing products and services in the relatively new field of telemedicine with e-Merge, and 14 years as VP of Product Development and Marketing for some of the medical device industries leaders. Some related projects Mr. Oberleitner oversaw include telesurgery systems (allow operations from a remote site), instruments to electronically transmit patients’ vital signs, and developing a secure medical web community for surgeons to counsel one another on surgical procedures for difficult patients. Mr. Oberleitner is a member of the American Telemedicine Association. Other specialists in this discussion may include doctors with experience with telemedicine, technologists who’ve developed or market in the telemedicine community.